Some of you have toured with the same bands for more than a decade. Describe the bonds that form between you and them. Hom: I've been with Fleetwood Mac for 17 years, Barbra for 13 years. If you've toured with somebody long enough, they are your family. And you're kind of like the dad who takes care of them, and they depend on you. The younger artists are a little different in that they surround themselves with entourages now. They have assistants, they have managers who go on the road, publicists, they have people. The relationships are still good but they're not as personal because there are layers of people you have to go through. Sounds like it can get pretty intimate. Hom: Let me tell you how intimate. I had to tell Ian Astbury from The Cult that his father had passed away. They were onstage at the old Omni in Atlanta, and the manager called me. It was one of the hardest things I had to do. 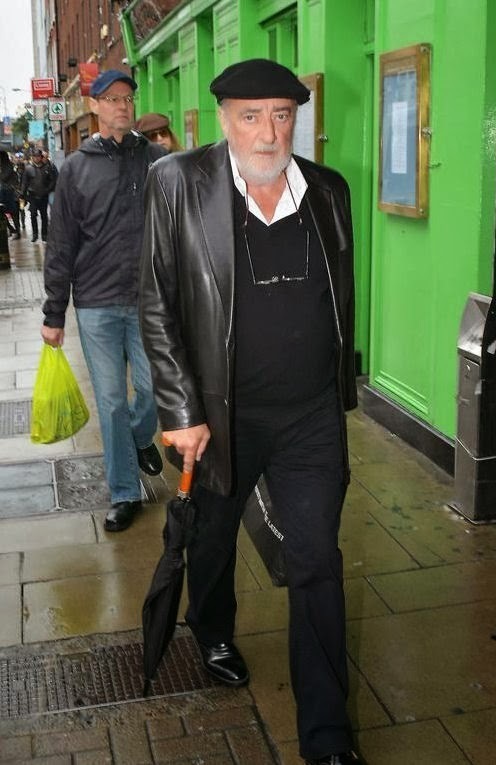 I was just in Europe with Fleetwood Mac and [bassist] John McVie wasn't feeling well. So we got him to a doctor in Berlin. And he called me afterward and says, "Marty, can you come over to my hotel and talk to me?" I know that's not good, so I jump in a cab and go over to his hotel. We sit down and he says, "I've just been diagnosed with cancer." And John's sitting here and then Mick [Fleetwood] comes over, and we have a discussion of what we're going to do next. We ended up canceling Australia and New Zealand-15 sold-out shows. The band thought about moving on without a bass player but...you can't get onstage without John McVie. That last line is very true. You can't get on stage without John McVie. I find it so distasteful that they would have considered, even for a nanosecond, carrying on without John. Australians and new zealanders may not have liked it but how could they had done that I mean really I don't believe that they thought of that. Theres no way that they could of carried on without him.How could they emotionally have done it on stage for 1 show never mind 15. It would of bother them badly. GOD BLESS YOU JOHN GET WELL SOON AND SEE YOU ON THE ROAD. with chris too woooooo!!! Of all the people that have come and gone through Fleetwood Mac.for me the ONLY one that could leave and make it stop being Fleetwood Mac is John McVie.... He is the heart and soul of the band!! Just listen to his bass on every piece ... it is the heartbeat....and HE is the heart!!! Dont you all remember the story about when Lindsey was having seizures during Rumours and Mick talked him into still flying against doctors orders and still performing. I find it amazing how us fans can forget things like this. Touring is a business, and yes John McVie may be the soul of the band, but dumping tour dates costs a lot of money. It was likely John himself who suggested the band carry on without him for the remainder of the tour. I'm glad the band didn't, but the band is still a business and those types of discussions are necessary. It's just like Stevie said in Destiny Rules: "This is not about art - it's about finances." At this point, FM is a heavy-duty touring business - they made over $100 million on this last tour. Cancelling 15 Oceania shows likely costed them $25-50 million - a lot of money for the band to lose and a hell of a lot for a promoter to lose. I'm sure John probably said to Mick, "Why don't you guys go on without me?" Maybe that's why they all met up in Amsterdam at the same hotel with Christine - to discuss their options. We all think that Fleetwood Mac is "like family," but it's like Mick Jagger said in an interview last year (paraphrasing): "I know every band that's been famous in the past 40 years and not one single one likes each other. They travel separately, stay in different hotels, and only see each other during the show. Any band that tells you differently is lying to save face." But I'm sure FM banded together around John when he became ill. We all love John. "I find it so distasteful that they would have considered, even for a nanosecond, carrying on without John." I bet this person would be the first to scream bloody murder if it affected their profits. Please - Fleetwood Mac is a business, not a family. I am sure they all care about each other, but it's a business first and how they make their money. I realize that being a tour manager is a job where you have to be the one to take the blame for a lot and be the tough guy, but I had to work with Marty Hom and he is simply not a very nice person at all. It made me surprised that Fleetwood Mac and Stevie would use him. There old tour manager John Courage was the opposite, a very cool decent man. So I would take his comments about the band touring with someone other than John McVie with a grain of salt. He talks out of both sides of his nasty mouth. Let's think about this the person who thinks, its only about the money really,. first of all they all have already made there money, they are all well off. they known each other for some 40yrs. You don't think they have feeling for each other and are chershiring this last few yrs. together. You think they could of carried on without him. Just send him home miles and miles and miles away by himself. when he just found out his has cancer. while they all have fun for the last 15 shows. and not worry about john and carrie on.REALLY. cuz after all its about just the money!!! this person that is thinking of this i just found out about him or her that they are a greety person and they never have experenced serious sickness in there family yet and yes fm is a exended family amonest each other. Its not always about the dollar!! !